I-SITE has been working with extensively with pre-school TV channel Sprout on a variety of mobile apps, microsites and promos. 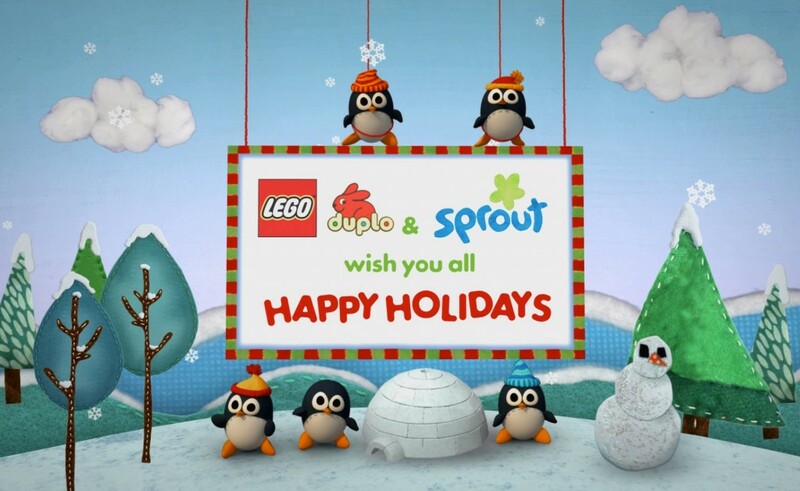 In Fall 2012 Sprout turned to the I-SITE team to flex some creative muscle to and conceive and develop a fun 10-second Happy Holidays promo for the holiday season brought to you by Lego and Sprout. The I-SITE team focused on brainstorming holiday-themed concepts that elicit the fun of building with LEGO Duplo• without showing the product itself. The result was the award-winning promo that aired first during the 2012 season and due to its popularity as a rerun in the 2013 holiday season. The animation features I-SITE feathered friends the penguins on a mission to complete an ice castle. I-SITE AND SPROUT TEAM UP AGAIN!